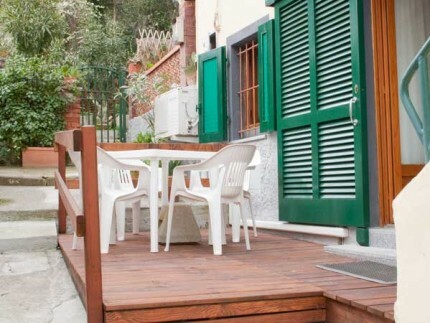 Immersed in the green vegetation of Elba Island, Salita Ulivi is a villa overlooking the see and set in a strategic and comfortable position close to the historical centre of Marina Di Campo and its famous beach, which you can reach through a private street closed to traffic. Easily accessible also the beautiful beach of Galenzana, a characteristic and secluded place ideal for relaxing. Comfortably and tastefully furnished, Villa Salita Ulivi consists of a living room with kitchenette, 2 single sofa beds, 1 bedroom with double bed, bathroom with shower. 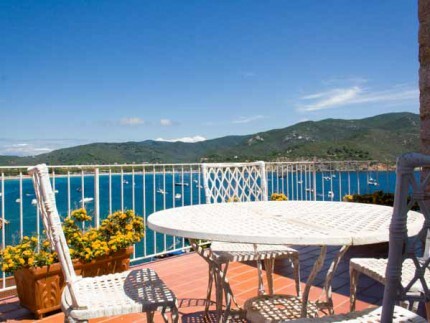 Fully equipped terrace with a fantastic sea view. 2 private parking. One is close to villa and the other one is just 100mt from the sea and close to the city centre.